I love helping people move their dreams forward. So, it is a bonus when I have the opportunity to work with a client who also has that same passion. Tim Morrison owns Write Choice Services and he coaches writers through the process of getting their book out of their head and onto paper. 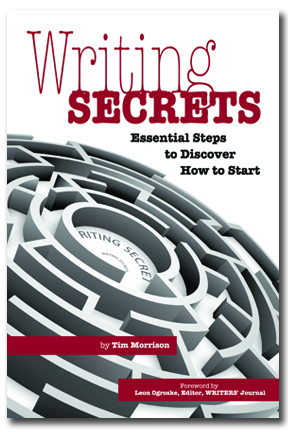 It was fun collaborating with Tim to create a strong marketing hook for his book, Writing Secrets: Essential Steps to Discover How to Start. His book outlines a specific process for writers to determine their book topic. Here is what he had to say about working with me. I was recently a guest on Coach Kimberly’s radio show where we talked about publishing a book to attract ideal clients. I discussed one of the chapters in Tim’s book where he outlines seven benefits to writing and publishing a book. You can listen to the interview here.